As the international financial crisis and the US economy have worsened, there have been various reports about more people “staying put,” not moving from one part of the country to another. There is some truth in this, but the latest US Bureau of the Census estimates indicate the people are still moving, and in big numbers. 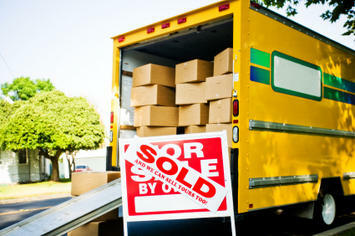 In the year ended June 30, 2008, 670,000 people moved between states. This is down substantially from the peak years of 2005 to 2007, when housing prices in California and its suburbs of Nevada and Arizona, Florida, the Northeast and the Northwest reached record heights never seen before. In those years, people could elicit considerable and unprecedented financial gain by moving to parts of the country where the housing bubble had not visited or had done less damage. A household could buy in Indianapolis, Dallas-Fort Worth or Atlanta and save more than $1,000,000 in purchase price and mortgage payments compared to a comparable house in San Diego, Los Angeles or the San Francisco Bay area. In 2006, net domestic migration between states peaked at 1,200,000. Still, despite the reduction from the most extreme bubble years, last year’s interstate migration numbers still exceeded those of 2001, 2002 and 2003 and nearly equaled 2004. Lost in the discussions of the decline has been the continuation of a seemingly inexorable secular trend: the continued migration to the “Flyover County” that many of the coastal urban elites tend to dismiss as insignificant and even unlivable. What residents of Elitia reject, millions are embracing. Can 3,500,000 Movers be Wrong? The new data shows a strong trend of domestic migration to Flyover Country. Between 2000 and 2008, 3,500,000 residents moved to Flyover Country. This is roughly equal to the movement of the entire population of the City of Los Angeles. Moreover, the trend has been accelerating. In the last four years, the number of people relative to the population leaving Elitia’s promised lands has increased by 60 percent. The Lost Empire: New York has lost residents at a rate exceeding that of any other state or the District of Columbia. Not even the destructive winds of Katrina and Rita, the malfeasance of the Army Corps of Engineers or even mis-governance – from Washington to Baton Rouge and New Orleans itself – could drive people out as effectively as the Empire State. New York has lost 1,575,000 domestic migrants since 2000, nearly equal to the population of Manhattan. New York’s net domestic migration loss is equal to 8.1 percent of its 2000 population, compared to Louisiana’s 7.1 percent loss. New York has even outdone that perpetual exporter of residents, the District of Columbia, which lost a mere 7.6 percent through domestic migration. From Golden State to Fool’s Gold State: Then there is California, which has added more people over the past 50 years than live in Australia. How things have changed. Early in the decade, the Golden State was suffering somewhat modest domestic migration losses. But by 2005, with house prices escalating wildly relative to incomes, California won the race to the bottom. Each year since then, California has driven away more people than any other state. What’s Right with Pennsylvania: There are anomalies, however. One of the leading parlor games is “what’s wrong with Pennsylvania” stories. From the Philadelphia Inquirer to Washington’s Brookings Institution, there has probably been more hand wringing about Pennsylvania than about all other states combined. Yet things have changed materially, and largely for the better. Although Pennsylvania continues to lose domestic migrants, the rate has been far less than elsewhere in the Northeast. Between 2000 and 2008, Pennsylvania lost less than 50,000 domestic migrants. Its neighboring states – New York, New Jersey, Maryland and Ohio (Delaware and West Virginia have had small gains) – have lost more than 2,300,000 domestic migrants or nearly 50 domestic migrants for every one leaving Pennsylvania. Among states with more than 10,000,000 population, only Florida and Texas have done better in domestic migration than Pennsylvania. That’s pretty good company for a state so many have declared to be on life support. Indeed, it is time to ask “what’s right about Pennsylvania?” One answer might be that Pennsylvania home prices did not explode relative to incomes (a distortion avoided because of Pennsylvania’s generally more liberal land use regulations). The American Dream – at least for those who are aspiring to achieve it – has shifted from New York, New Jersey and Maryland to Pennsylvania. This is evident from the housing construction on the west bank of the Delaware River and just over the Maryland line in York, Adams and Franklin counties. Florida: A Changing Story: Flyover Country’s gains are impressive. Florida has attracted the largest number of residents from other states, at 1,250,000 since 2000. This amounts to a 7.6 percent increase compared to the state’s 2000 population. However, things are changing. As the state’s housing became unaffordable, domestic migration dropped and then stopped. By 2007, domestic migration fell more than 80 percent from average of earlier years. Then, Florida slipped into a loss of 9,000 domestic migrants in 2008. Southern Gains: The rest of the South generally avoided the worst of the housing bubble. Texas has added 700,000 domestic migrants since 2000. The state displaced Florida as the leading destination for domestic migrants and has held that position since 2006. North Carolina has added 580,000 domestic migrants; Georgia added 525,000, South Carolina 270,000 and Tennessee 240,000. Even Arkansas and Alabama, although held in low esteem on the coasts, gained more domestic migrants than any state in the Northeast. Escaping from California: Nevada has been a big draw for domestic migration, adding 365,000 new residents. This is 18.3 percent of its 2000 population, the highest rate in the nation. Arizona added 700,000, or 13.7 percent of its population. Much of this growth has been driven by Californians fleeing out of control housing prices, though their own more recently developing bubbles have probably contributed to somewhat reduced domestic migration gains In recent years. Basket Cases in Flyover Country: However, not all is well in Flyover Country. Michigan lost 109,000 residents to other states in 2008 alone, for the deepest percentage loss in the nation (1.1 percent). Since 2000, Michigan experienced a 4.7 percent domestic migration loss, equal to the decline in Massachusetts. Further, based upon current rates, Michigan next year will probably be the first state to ever drop from above to below 10,000,000 residents. Illinois and Ohio have also suffered substantial domestic migration losses, at 4.6 percent and 3.0 percent respectively. Where from Here? It is, of course, impossible to tell whether these trends will continue. Domestic migration could fall even more precipitously if economic times continue to worsen. We cannot predict whether seemingly unlikely trends, such as net in-migration to South Dakota and West Virginia, will continue in the longer run. Will Florida’s losses continue or intensify, or will it resume its position as a magnet for residents of other states? Has the magnet of California truly lost its attraction? Will the improving trends in the Midwest begin to make up for half a century of migration losses? Only time will tell. Submitted by ymouel on Mon, 05/25/2015 - 04:53. Thanks so much! You can play free game there! Love you! Submitted by uofix on Sat, 09/13/2014 - 07:51. Submitted by towxa1122 on Tue, 09/09/2014 - 06:39. Submitted by uofix on Wed, 09/03/2014 - 05:21. Submitted by uvcfg on Sat, 08/30/2014 - 06:38. Submitted by quangstar on Fri, 08/15/2014 - 22:06. Submitted by cartercj1122 on Tue, 08/05/2014 - 04:51. Submitted by tsflw on Sun, 08/03/2014 - 10:23. Submitted by missroy4u on Wed, 06/11/2014 - 07:09. Well extremely thanks for your researched posting! I really enjoyed reading it, you'll be an excellent author.I appreciate you effort. Submitted by ashleyofmanchester12 on Wed, 05/21/2014 - 08:12.